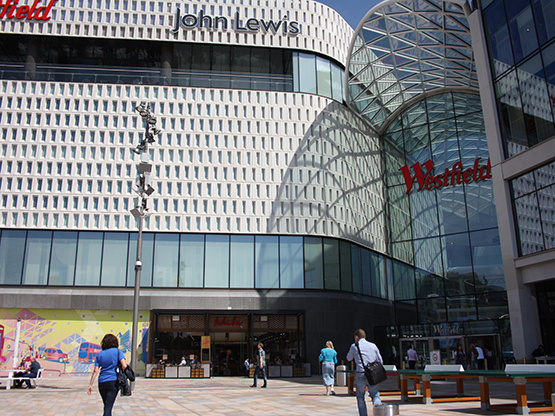 There are four shopping complexes within a mile radius of each other based in Hammersmith and Shepherd’s Bush. Westfield London, located to the North of Shepherd’s Bush Common, is the best known and largest urban shopping complex in Europe, which provides shops, restaurants and leisure facilities. There is also the West 12 complex on the South side of Shepherd’s Bush Common, Kings Mall on King Street and Hammersmith Broadway on Hammersmith Broadway. Shepherd's Bush Market is located to the east of the Hammersmith and City line between Uxbridge Road and Goldhawk Road and is a great place to head for fresh and cooked foods, exotic fruits plus household goods. All the major supermarket chains are represented in the local area. Sainsbury’s have a main supermarket in Kings Mall and three Local stores (Askew Road, Uxbridge Road and Goldhawk Road), Tesco have a main supermarket on Shepherd’s Bush Road and four Local stores (Askew Road, Goldhawk Road, Uxbridge Road and King Street), Waitrose is located in the Westfield London Complex and Lidl are in the West 12 complex. There are a phenomenal number of small independent grocery shops catering for everyone and all tastes, the best of which being Damas Gate and Al Abbas – both of which are extremely well thought of locally. Other local treats worth noting are: the family run butchers Stentons on Aldensley Road; the Ginger Pig on Askew Road; a great Italian delicatessen Sundrica on Beadon Road; and Brooks Delicatessen on Shepherd’s Bush Road. Other local shops including chemists, banks, travel agents and estate agents can be found along the main roads including Shepherd’s Bush Road, King Street, Goldhawk Road, Uxbridge Road and Shepherd’s Bush Common.